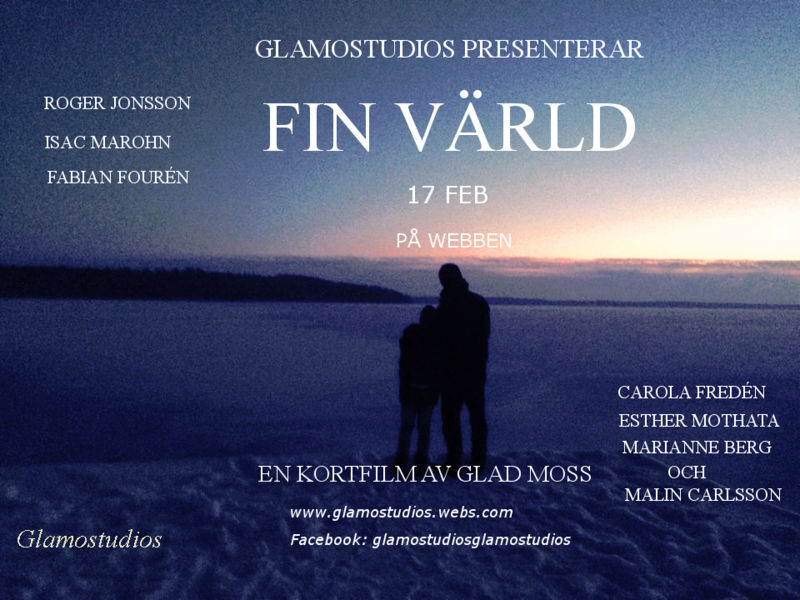 Fin värld is Glamostudios very first short film written, directed and produced by Glad Moss starring Roger Johnsson, Carola Freden, Isaac Marohn, Fabian Fouren, Esther Mothata, Marianne Berg and Malin Carlsson. Film production started in 2013 and wrapped up January 2014. On 14th Feb the same year the film had it’s premiere. Before this script Glad had only written short scripts for short stage plays, therefor, Fin Värld became the biggest script he had ever crafted and worked on. Prior to the film development, Glad had never been involved in any filmmaking process and for that reason he attended a short film course to acquire some skills. 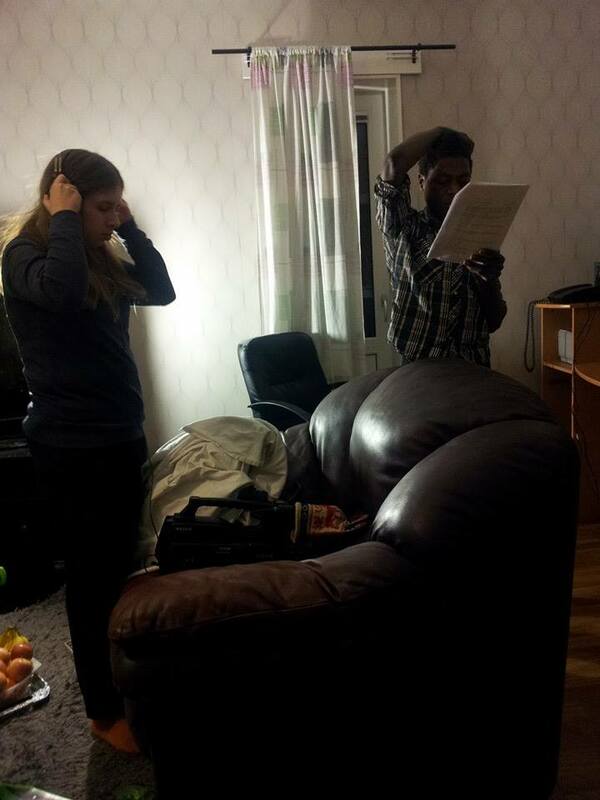 During the last weeks of the course his tutor asked the class to write a short script to shoot before the course end. The instructions were to write half a page script for a 2 minute video however, when Glad got this idea it run wild and in the end the half a page become two pages. Unfortunately since the course was held in the capital of Sweden, Stockholm, and Glad lived in Uppsala. He couldn’t manage combining the course with his gymnasium studies. This led to him quit the film course and continue writing Fin värld at his spare time or when commuting to school. After writing the script Glad had no resources to producer it so it was kept on hold for about five months until he was asked to do a project for his gymnasium graduation. Casting was held by Glad two months before the shoot. Glad spent a great deal of time in both Uppsala and Stockholm looking for the right actors. Three weeks later the right actors were found. Roger Johnsson was cast as Peter, Isaac Marohn got the role of Fredrick and Carola Freden got the part of Gunnila. Later on Fabian Fouren became the boy playing the young version of Fredrick and Esther Mothata got Mary’s part. Marianne Berg was at the end of casting offered the part of Marie. Right after casting Marianne Malin Carlsson who was to play the healthy version of Marie was cast. This was Glamostudios first production therefor we had much expectations though our qualifications were limited. Because of this the whole production took longer than expected and the budget was incredibly much higher than the studio had anticipated. 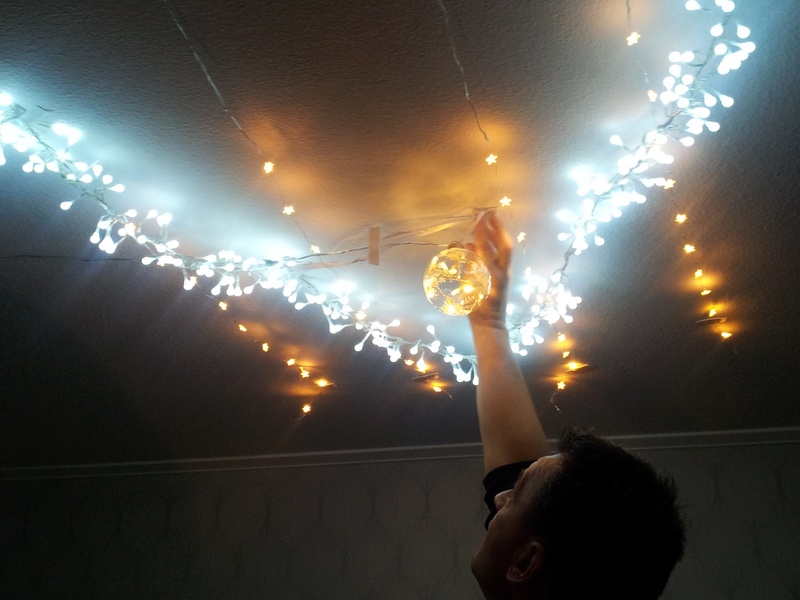 In the end after the wrap up the whole production had taken up to ten thousand Swedish crowns, five thousand more than the estmated budget. The whole film was filmed in uppsala. 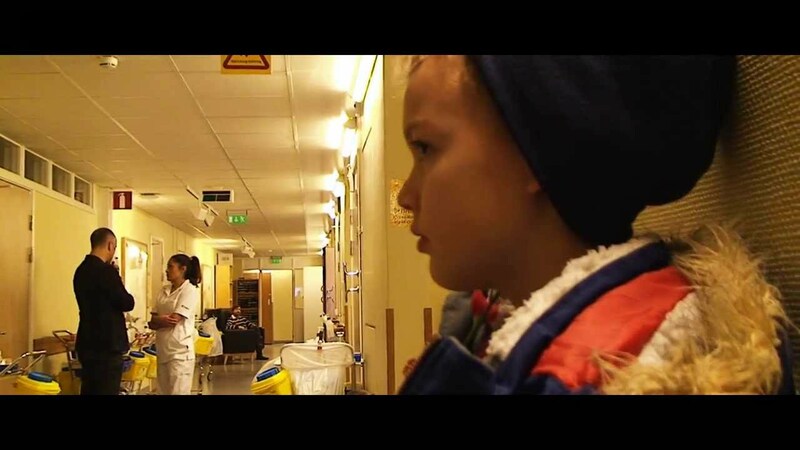 All home scenes were filmed at Glad’s parents apartment and the hospital scenes at Akademiska general hospital. The beach view seen in the flashback was shot in Gottsunda, southwest of central Uppsala. 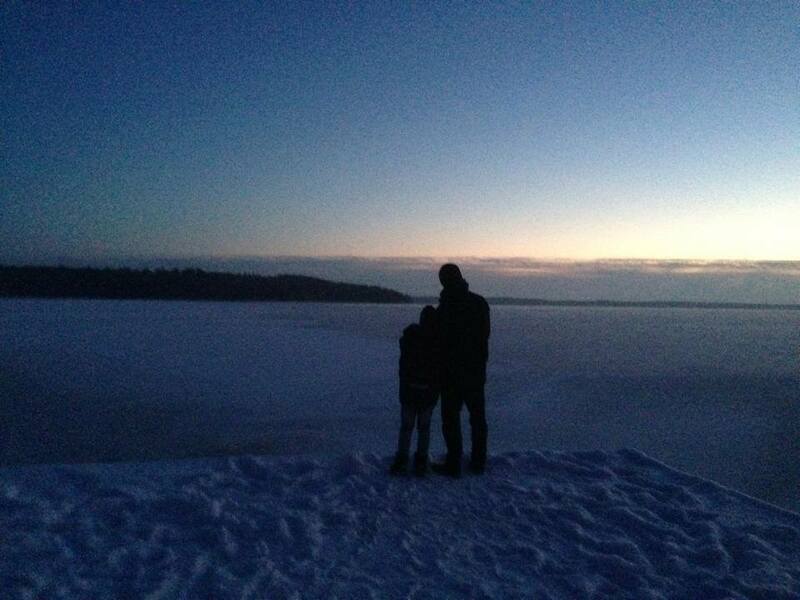 In count Fin värld took around two filming days. NOTE: To learn more about Fin värld click the links below.